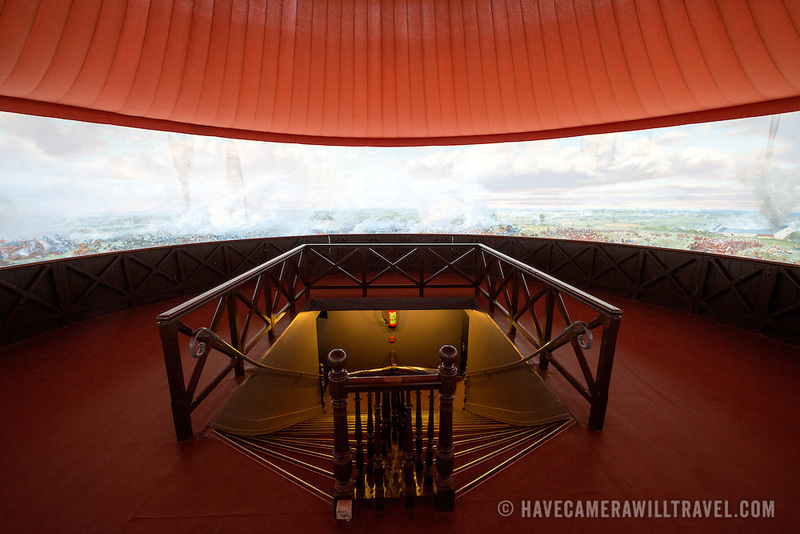 The Panorama of the Battle of Waterloo, built in 1912 for the centenery celebrations of the battle and situated next to the Butte du Lion (Lion's Mound) on the former battleground. The painting on the wall is 100 metres long and 12 metres high, painted by Louis Dumoulin, and a team of military artists. It portrays the battlefield at about 6 p.m. on June 18, 1815.